This sample shows how to unprotect a document (if you know the password). Note: that we will not explain nor give any tips how to crack a protected document with PDFsharp. // Get a fresh copy of the sample PDF file. // The passwords are 'user' and 'owner' in this sample. // Opening a document will fail with an invalid password. // Open the document with the user password. // because this make little sence for an open source library. // Open the document with the owner password. // and can be modified. 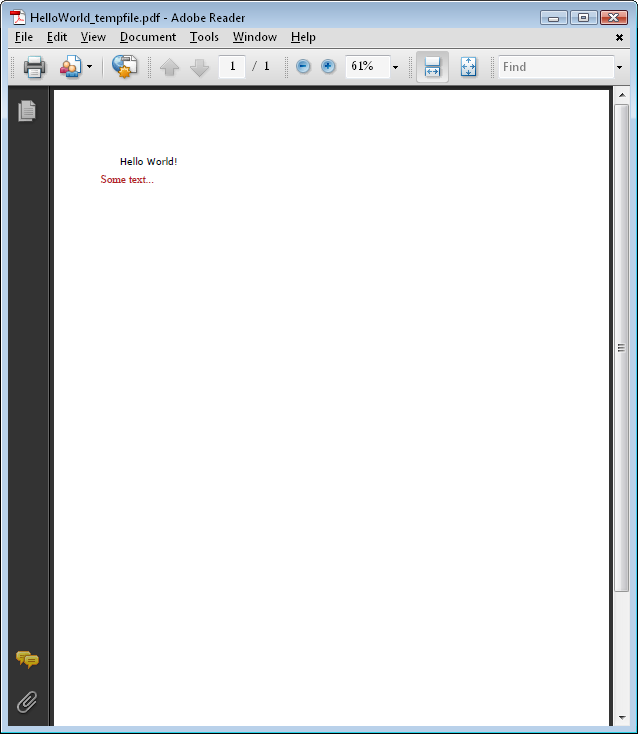 // The modified document is saved without any protection applied. // or apply new passwords. // reused. See 'ProtectDocument' sample for further information. /// The 'get the password' call back function.